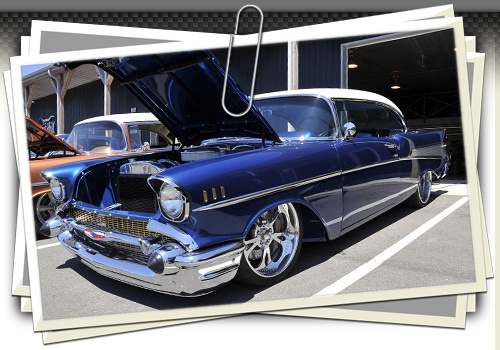 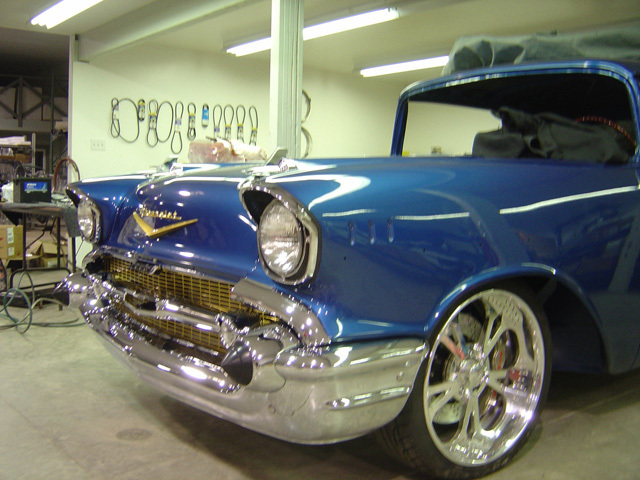 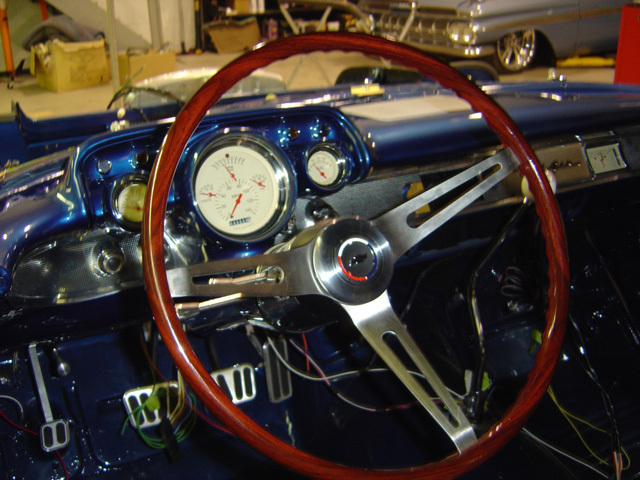 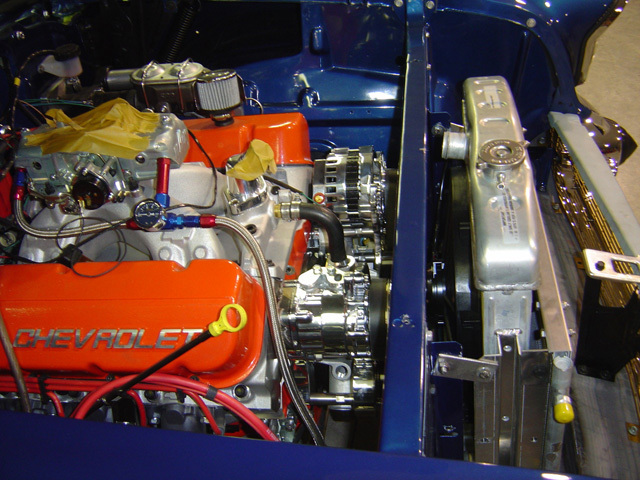 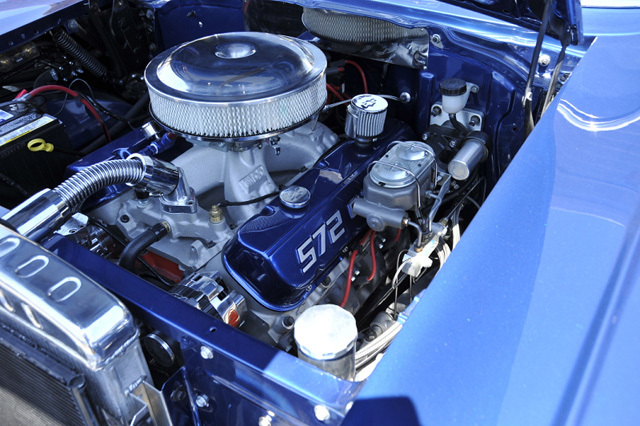 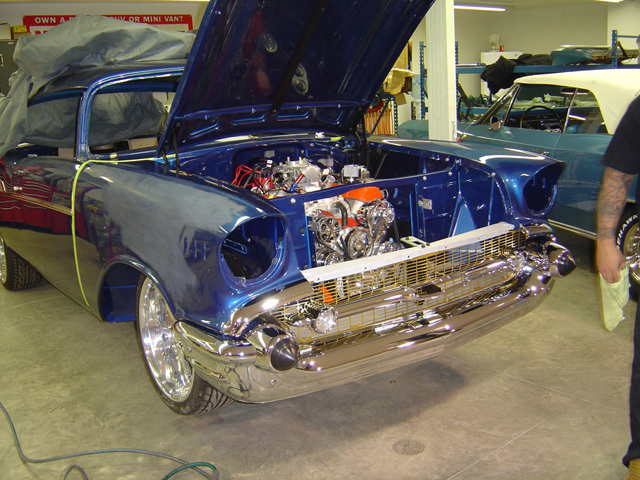 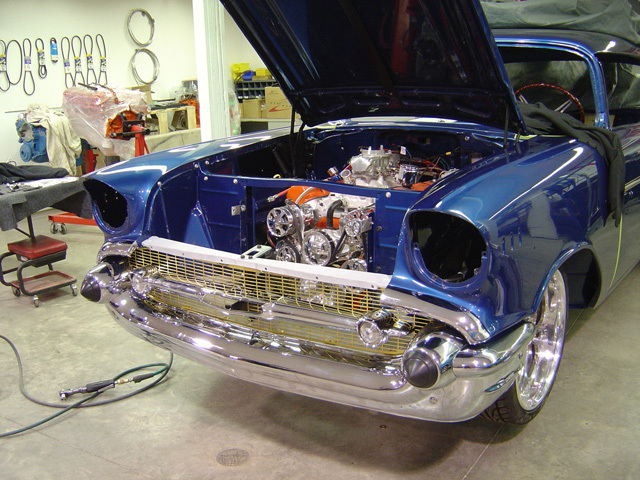 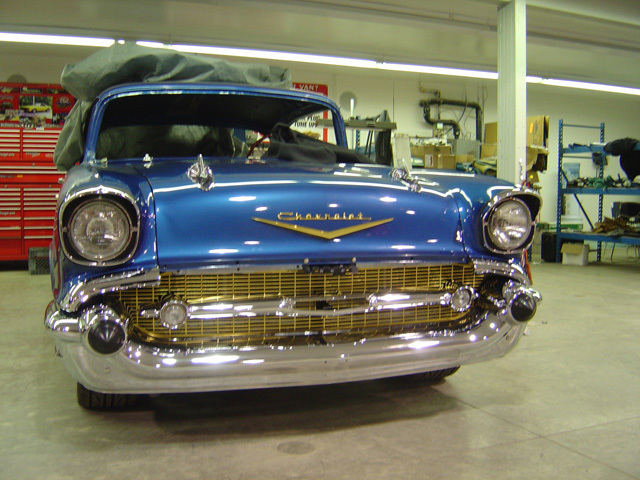 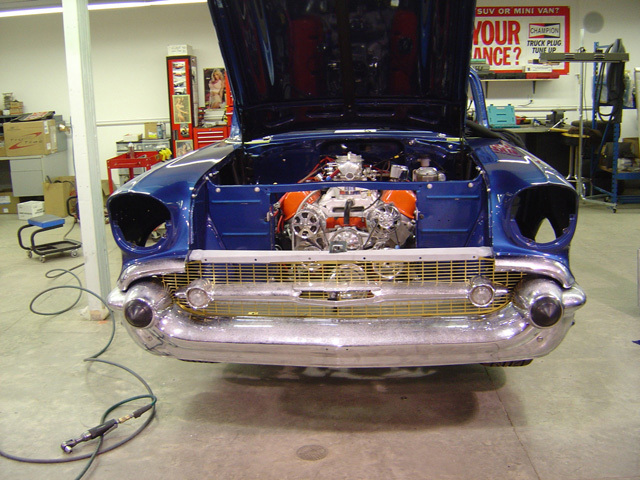 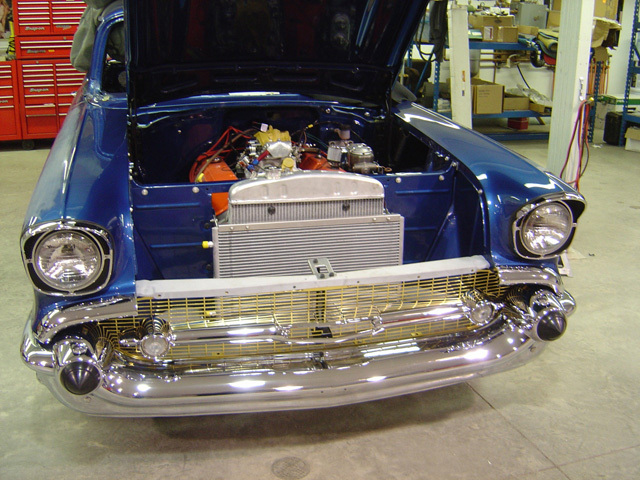 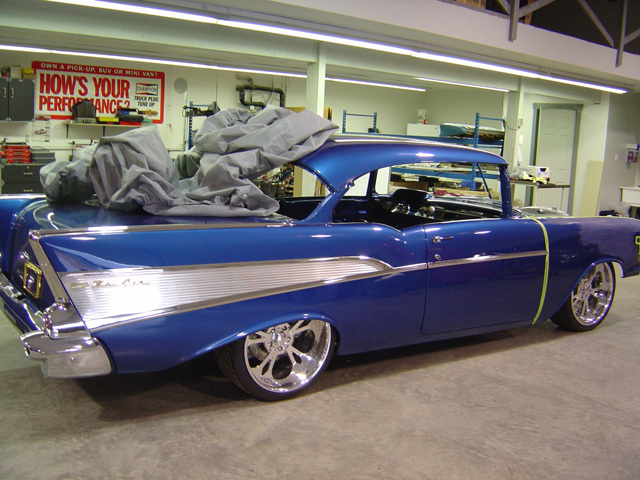 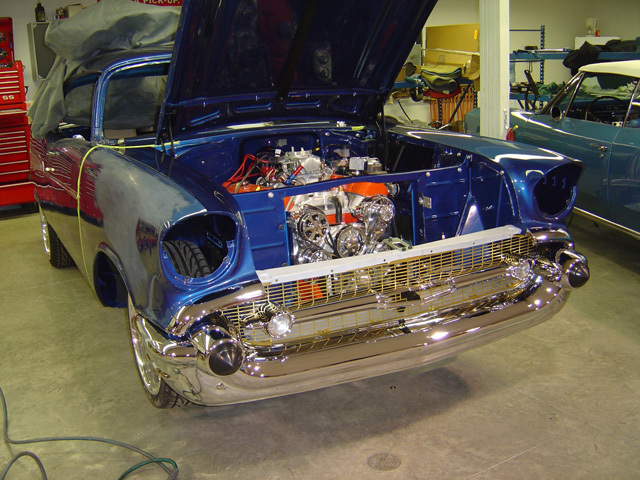 Originally this blue 1957 Belair had a small 289 that just wasn't cutting it as a power plant for this HOT ROD. 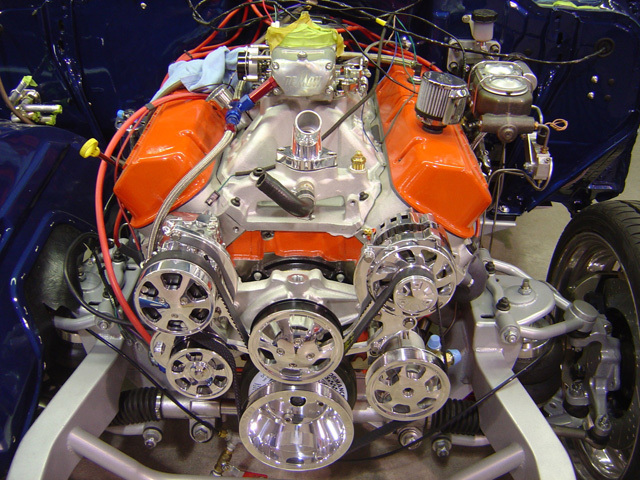 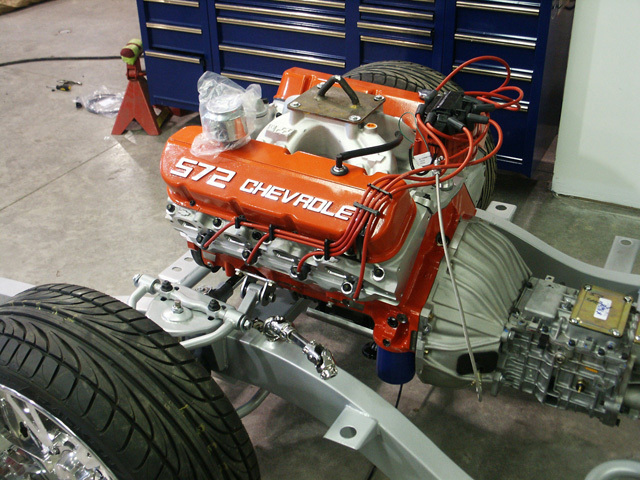 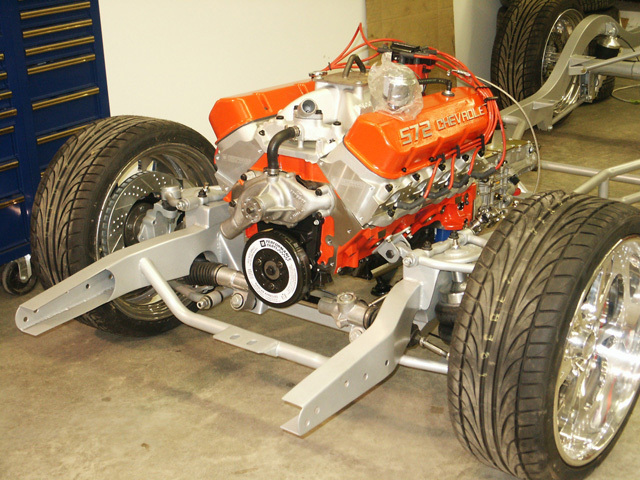 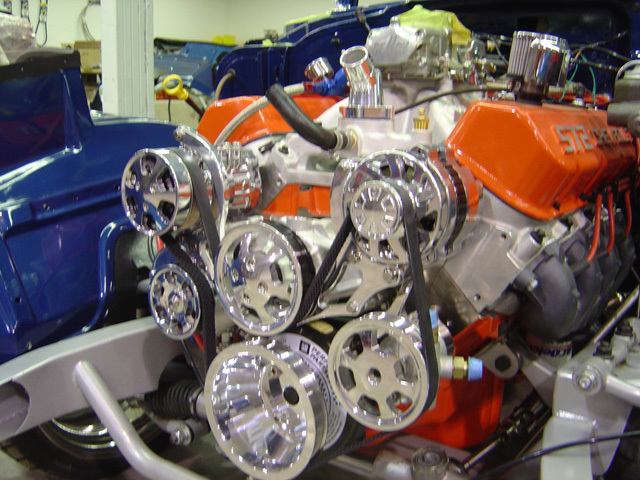 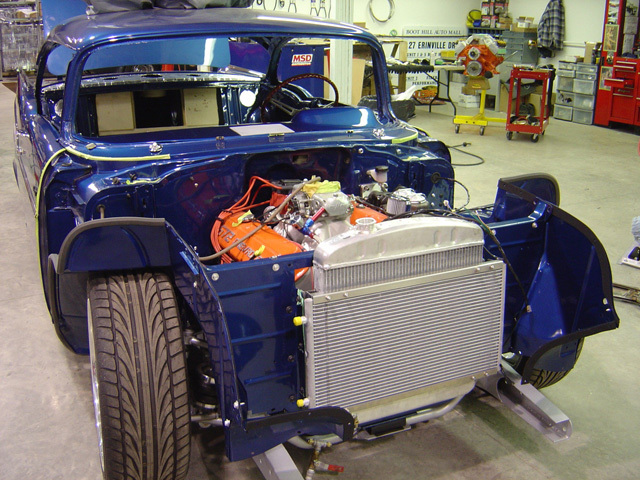 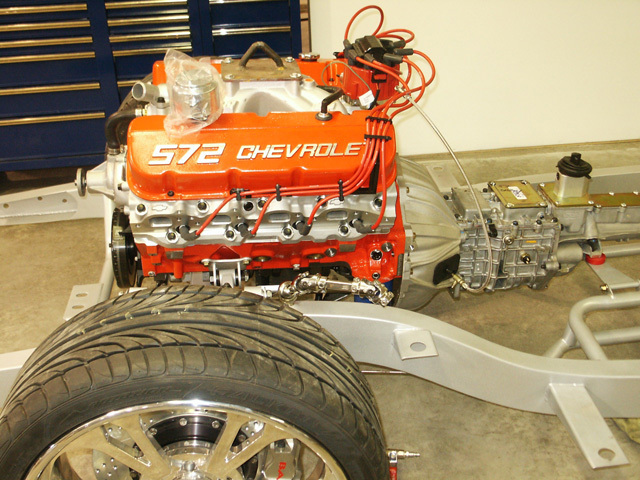 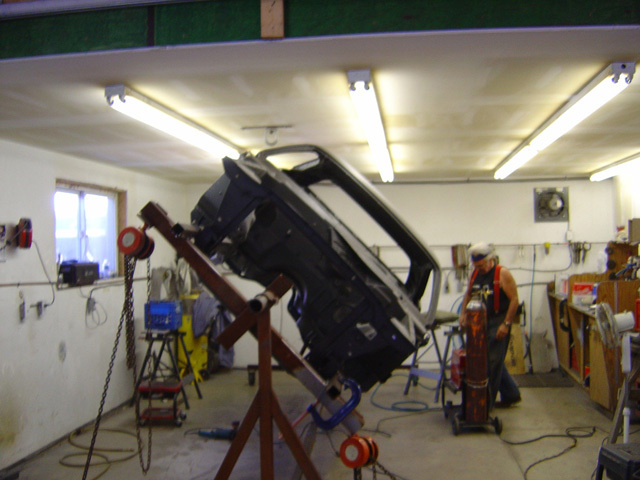 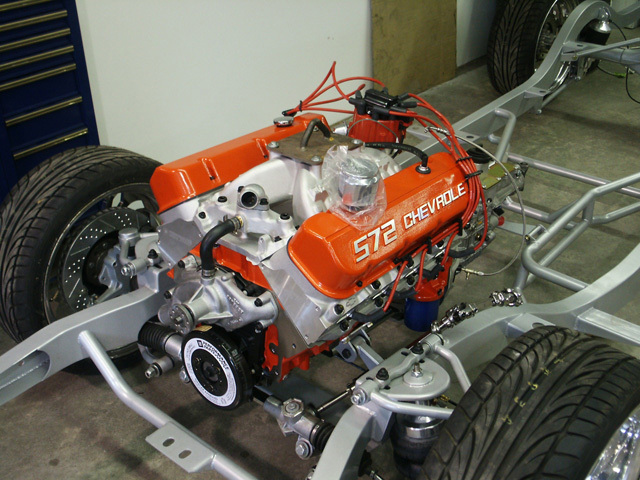 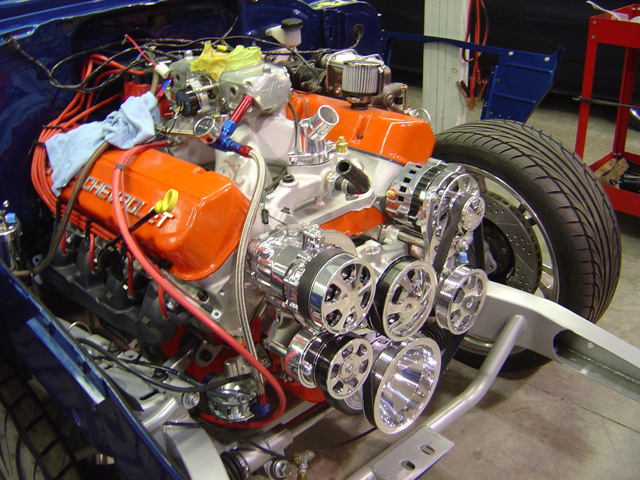 We started with a custom progressive frame to handle the 700lbs of torque that the new 572 was pushing. 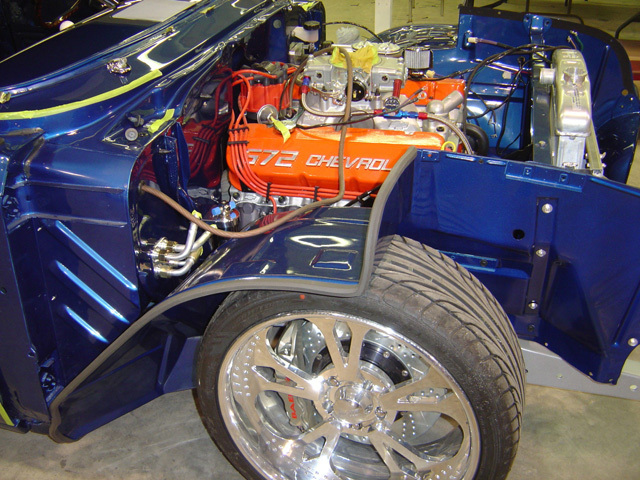 Next up was a beautiful custom exhaust that was ported out the side. 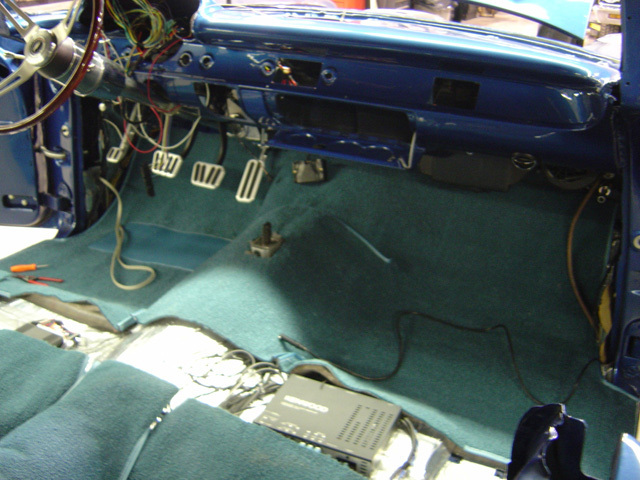 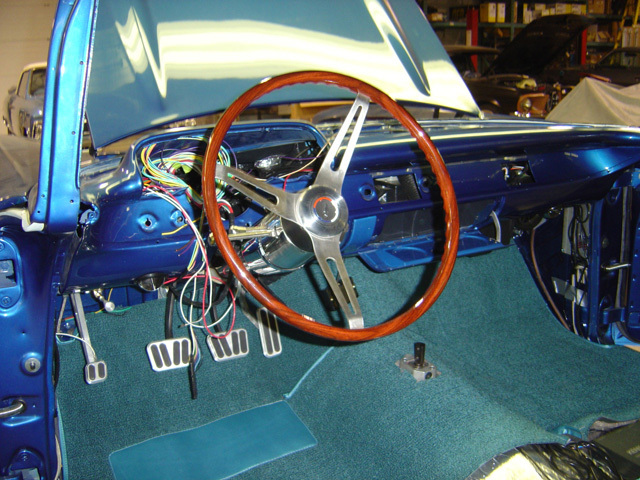 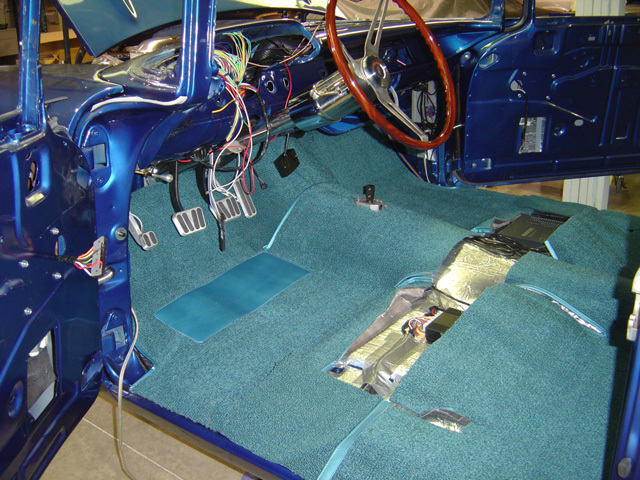 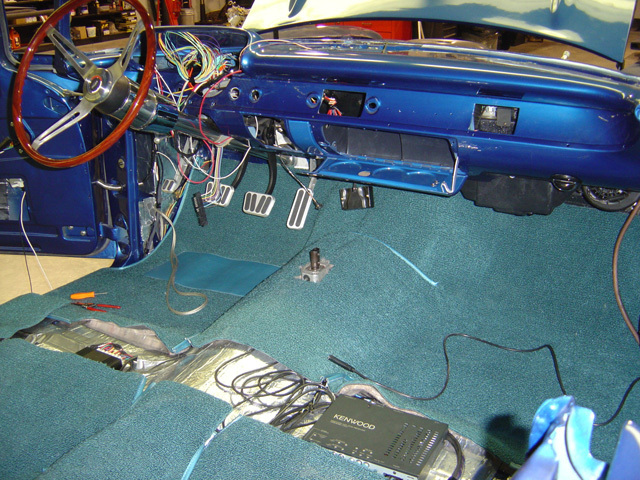 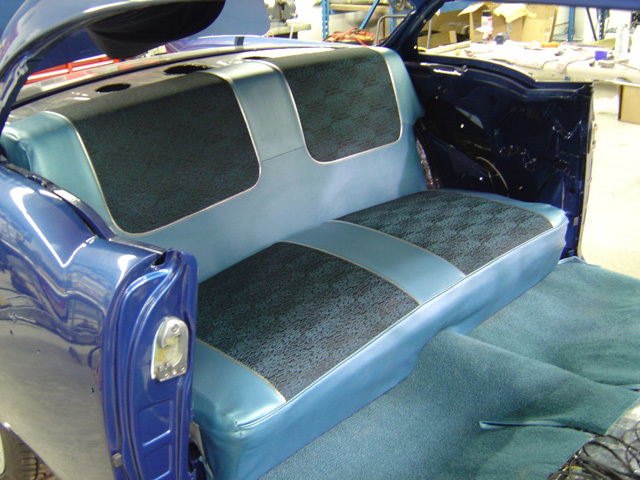 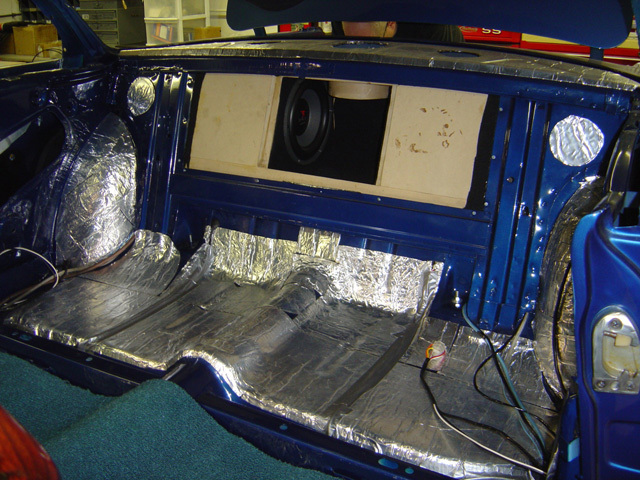 Custom Focal sound system with DVD navigation hidden into the original Kleenex box makes the stealth look of this custom project work. 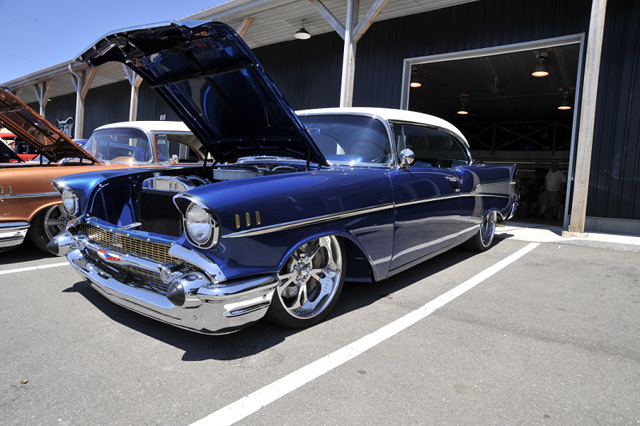 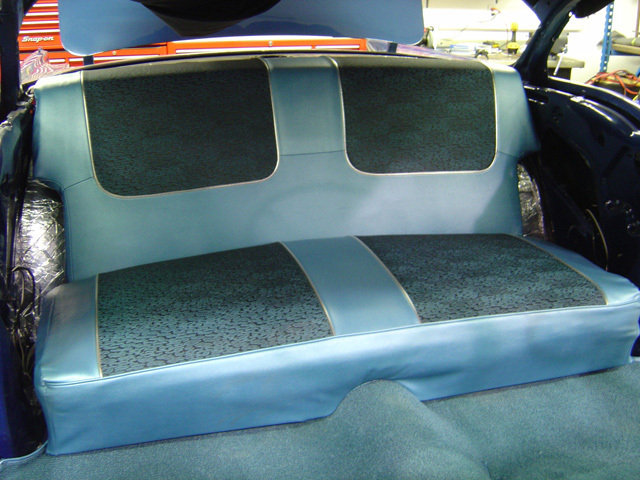 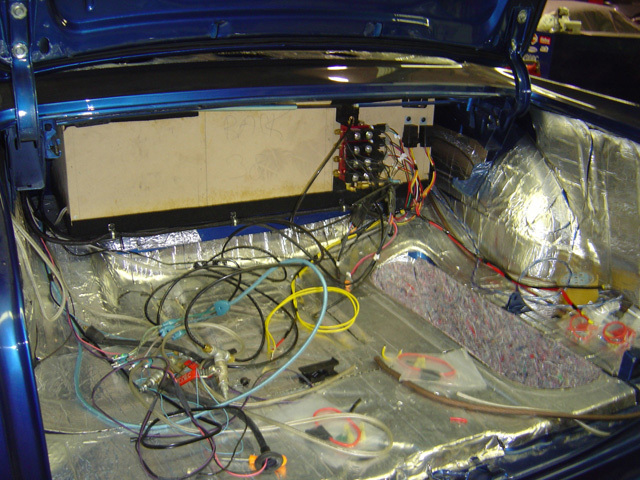 All Air Ride compressors and amplifiers are hidden in the trunk, allowing for plenty of room for those trips to the car show. 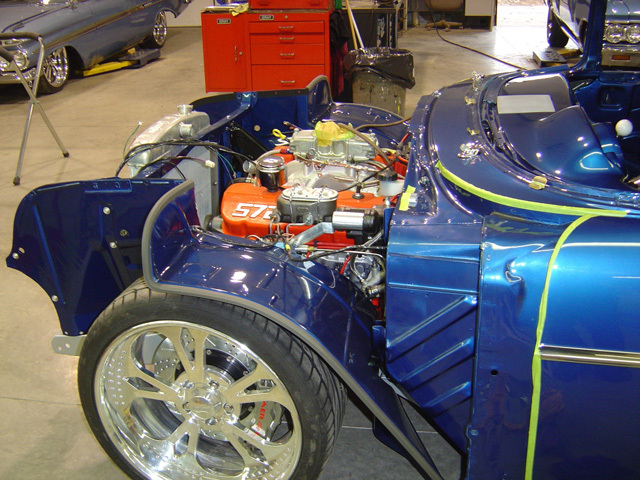 Custom Wild Thing Rims from Bonspeed make this car a one-off custom creation.